After several cassette releases (which the band compiled on a cassette compilation I wrote about a few weeks back) here’s the debut vinyl from Texas’s Chronophage. While Chronophage has cleaned up their sound from those earlier tapes, they still play rough-hewn and loose pop music. Their recordings have a handmade quality that sounds like people playing together in a room, which stands in stark contrast to most punk rock I hear, which takes advantage of recording technology to sound as full and as a tight as possible. 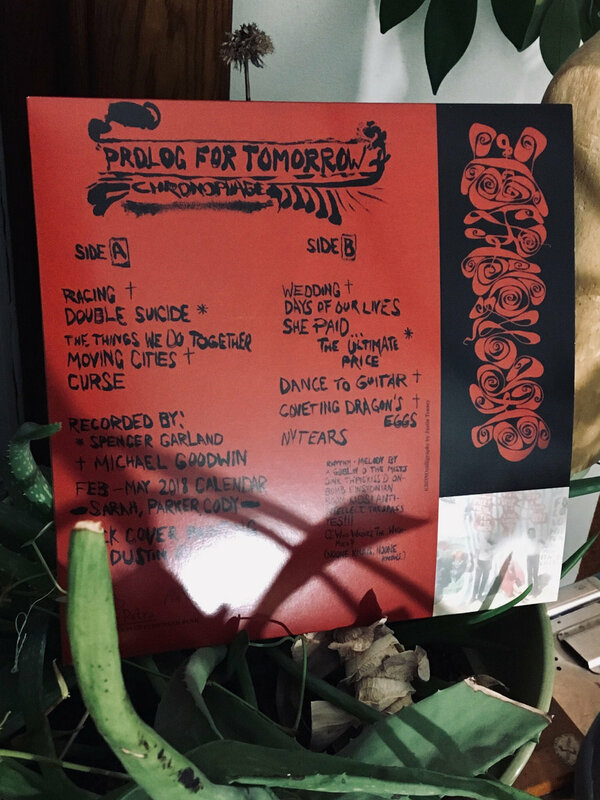 While Chronophage don’t sound retro, that quality forces me to go back further for good reference points for their sound, whether it’s to UK groups like Swell Maps, Television Personalities, and O Level, or American stuff like Pavement’s earliest material. While the whole thing is an enjoyable listen, my ears perk up when unexpected sounds crop into the mix, like the gurgles of electronic noise that pepper between-track transitions, the trumpet on “Racing,” or the double-tracked chorus of “Double Suicide.” Recommended if you want to hear smart people making loose, raw, and earnest music.